The personality model of adult psychopathy by Widiger and Lynam (1998) posits that psychopathy consists of a maladaptive constellation of personality traits, drawn from a general model of personality such as the Five Factor Model. Specifically, the underlying callous-unemotional (CU) component of psychopathy is represented mainly by low agreeableness, and the deviant behaviour component is represented mainly by low agreeableness and conscientiousness. This conceptualisation of psychopathy has been extensively studied and validated in normal and incarcerated adult and adolescent populations. 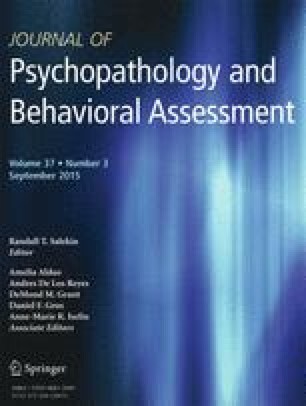 While CU traits as one of the hallmarks of child psychopathy have been studied in preschool children, the personality correlates of psychopathic traits have not yet been fully examined in this age group. The current study aimed to examine the relationship between personality, conduct problems and CU in a sample of 4 to 6 year old children. It was hypothesized that high scores on CU traits would be associated with low agreeableness and high scores on conduct problems would be associated with low agreeableness and conscientiousness. Children’s CU traits, conduct problems and personalities were assessed using teacher-rated questionnaires. The results showed that low agreeableness was the most significant predictor of CU and conduct problems in this age group, and that higher scores on CU and conduct problems were correlated with low agreeableness, low conscientiousness, high neuroticism and low openness; a constellation of personality correlates that have also been associated with psychopathic traits in adults and adolescents. Elham Assary, Randall T. Salekin, and Edward D. Barker declare that they have no conflict of interest. This study was approved by the university Internal Review Board (IRB) and all study procedures, including informed consent, followed the protocol approved by the IRB. U.S. Census Bureau. (2014). State & county Quickfacts: Tooscaloosa County, Alabama. Retrieved April 20, 2014, from http://quickfacts.census.gov.